Learn a little about the city and get your local shopping started early at the Austin Visitor Center! Open at 9 a.m., stop by after your early-bird shopping for boots on sale up to 50% off select styles, and load up on stocking stuffers with winter scarves and wraps 20 % off! Blue Genie Art Bazaar - Check out this 14th annual bazaar and peruse more than 200 artisans and their works, all benefiting the Make-A-Wish Foundation. Take a break from all of the post-Thanksgiving shopping bustle and enjoy some of the many upcoming winter events for families and friends! Renegade Craft Fair - This annual fair returns to the Palmer Events Center just in time for a festive weekend of holiday and winter shopping with some of the best indie makers around. More than 100 indie makers will help you shop locally for the holidays, and support small businesses! 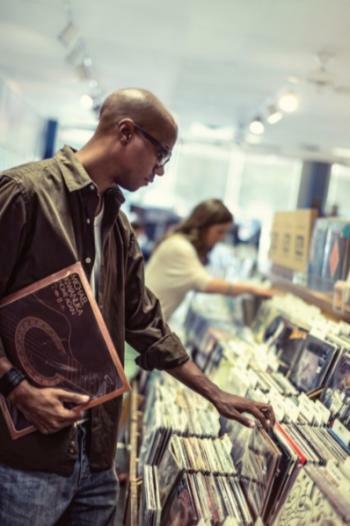 Visit some of Austin&apos;s most iconic shopping destinations to pick up your favorite goodies including BookPeople, Waterloo Records and many, many more. Holiday Hotel Packages - Hop onto your nearest computer, tablet or mobile device, and book some of Austin&apos;s best hotel deals for the season! Not only can you score a great discount (and some hot chocolate with your stay to boot), but you&apos;re supporting the local community as well. Now globally recognized as a day to give back to your favorite nonprofit or local business, take advantage of some of your Austin savings and deals, and donate the difference on Giving Tuesday. For all the dough you&apos;ve saved while shopping around town, donate the difference to a local Austin nonprofit in need! German Christmas Market - Presented by the German Texan Heritage Society and held at the historic German Free School, this annual event sports traditional handcrafted items from the Erzgebirge region of Germany including pyramids, nutcrackers, candle arches, ornaments, smokers, linens, and of course baked goods! December 6. Violet Crown Arts Festival - Music, food and local artwork from talented sculptors, potters, fiber artists, painters and artisans support local cottage businesses at this Brentwood Elementary event! December 6-7. Cherrywood Art Fair - Located at Maplewood Elementary, this locally-produced art fair supported by the Chula League is a non-profit shopping experience formed to support the arts, arts education and artful outdoor spaces in East Austin. December 13-14. Armadillo Christmas Bazaar - Shades of old Austin are reflected at this market loaded with eclectic gifts, live music and entertainment for the whole family, now in its 39th year! December 16-24. What&apos;s your favorite shopping spot in Austin? Let us know in the comments below, or tag us in your favorite find on Twitter or Instagram with #TrueAustin!